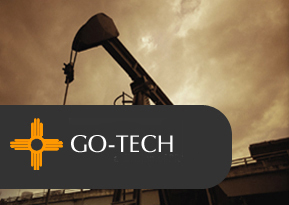 Our mission is to be a resource for historical oil and gas production data for New Mexico, and to provide this data in a quick, accurate, and easy-to-use manner. We have been helping producers and stakeholders access data for well over ten years now, and are always trying to improve our delivery. Oil and gas production data on our web site has been provided primarily by the New Mexico Oil Conservation Division, and is updated on a monthly basis. Data for the New Mexico State Land Office Data Access pages is provided by the New Mexico State Land Office, and is updated weekly. Other information on our web site has been collected and compiled by the Industry Service Outreach Group here at the Petroleum Recovery Research Center and is updated on an as-needed basis. You can find more information about using our web site by clicking on the Instructions button on any page that has one, and you can find other resources and useful information in our Help section. We hope you enjoy the site. If you have questions, do not hesitate to telephone us at (575) 835-5685. We also have a feedback form - for awhile this was not functioning correctly but is now back in order. We only check this mail account on a weekly basis at best, so if your problem is urgent, just call.